Making friends as an adult is hard, especially when you’re living in a new city. Without a network to introduce you to new friends and support you through the transition, moving to a new city can be a recipe for feeling lonely—or worse. “According to research from Brigham Young University, not having enough friends is the same risk factor as smoking 15 cigarettes a day,” shared a recent Fast Company article. In order to combat the new city blues and surround yourself with healthy friendships, here are five recommendations for how to make friends in your new home! Whether it’s volunteering for a cause that’s close to your heart or taking a class around a topic that interests you, getting out of the house and around like-minded individuals is one of the first most important steps to making friends in a new city. One of the most important qualities of friendship is connection, and shared interests will give you immediate common ground to connect over with new people. When joining new communities, be consistent, open and patient. Show up regularly, say hello and introduce yourself to others and with time, you’ll make connections within the community you’re joining. Let’s say you follow the above tip, and join a running group, for example. As you get to know people, take the next step in putting yourself out there and ask an acquaintance to get lunch. And when someone invites you to something, make it a priority to be there. Making the effort—especially if it’s the first time you’re doing the solo hang out—is a vital aspect of building new friendships. Feeling awkward about asking your new friend hopeful “out”? Keep it to a quick, non-alcoholic beverage—coffee, tea, boba, etc.—keeps everyone's time commitment low in a very neutral setting. Trust us, you’ll thank us later when we say that your team happy hour is a non-negotiable. For newbies that have recently moved to a new city, work is undoubtedly the easiest place to meet new friends, and like joining communities around your interest, you have a built in connection given that you share a place of work. Similarly to the last point, we recommend that you take people up on their invites and invite them to go to lunch, for example. You never know who you might really enjoy outside of the workplace, so keep an open mind and go at least once. Regardless of where you’ve just moved, chances are there are local events happening in your new city. Facebook Events is a great place to start to find events that may interest you—and be a great place to meet your next BFF. Also check out the app Nearify to find local events in your city. Looking to connect with others around your love of craft beer? DIY projects? Running? Say no more. 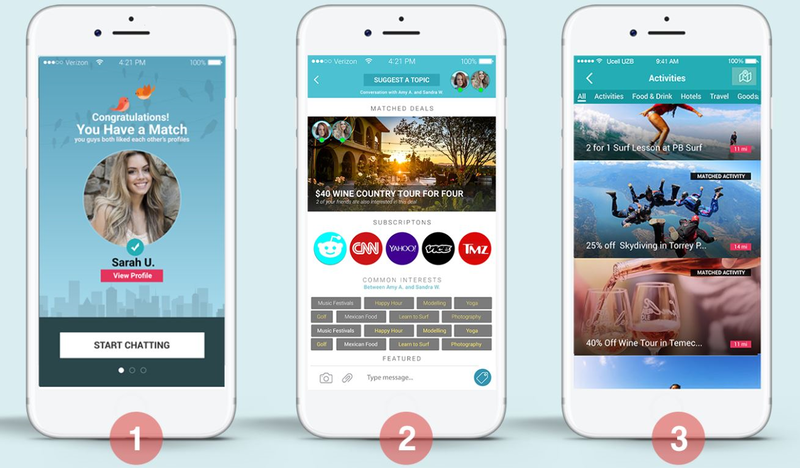 Finding friends with shared interests is a few taps away, thanks to Frendli. Not only can you connect with like-minded people in your area, but you can find specials on curated activities for you and your new friend to experience together. Frendli is launching in San Diego soon—sign up for the waitlist here so you can be first to connect with new friends based on the things you love to do!